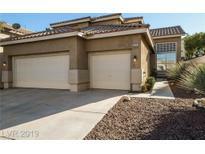 Below you can view all the homes for sale in the Salinas Summerlin subdivision located in Las Vegas Nevada. 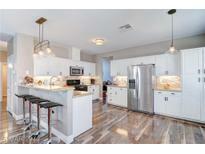 Listings in Salinas Summerlin are updated daily from data we receive from the Las Vegas multiple listing service. To learn more about any of these homes or to receive custom notifications when a new property is listed for sale in Salinas Summerlin, give us a call at 702-930-8014. This home is brand new down to the studs,sheet rock,wiring,plumbing,windows,custom cabinets.flooring,fixtures & applicances.Beautiful mountain views from the master bedroom balcony!Swim spa/spool for you & the kids to enjoy.Custom baths w/steam showers,jetted tub,an amazing custom closet & master bedroom retreat that can be a 4th bedroom.Solar panels & screens keep the bills down.Marble & granite flooring downstairs upgraded carpet upstairs. MLS#2087129. Keller Williams Realty Las Vegas. All appliances stay, Refrigerator and washer are new! MLS#2082269. Signature Real Estate Group. If you are looking for a fresh contemporary yet cozy residence, then welcome home! MLS#2081127. America's Choice Realty LLC. This Las Vegas two-story offers stainless steel appliances, granite countertops, an in-ground pool, and a three-car garage. MLS#2050750. Opendoor Brokerage LLC.